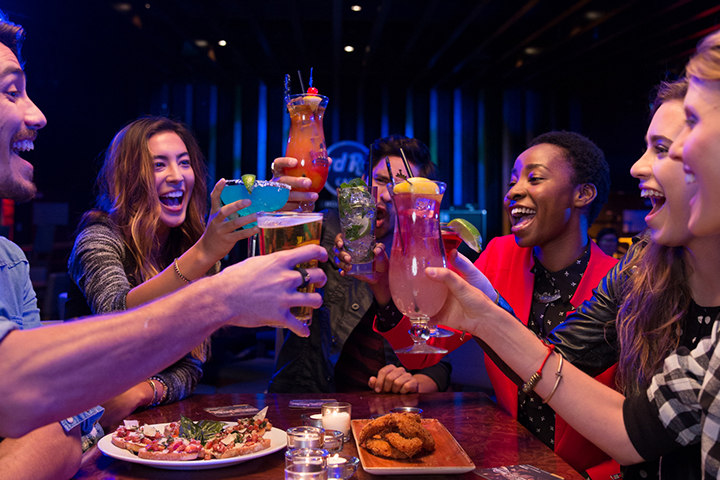 Get together for happy hour Monday to Friday at Hard Rock Cafe Sydney and enjoy 2-for-1 cocktails, $5 beers and $5 wine! Spend $75 and get a complimentary plate of our world-famous nachos! Terms and conditions apply. Ask your server for details. Not available on Public Holidays, and between 24th December 2018 - 6th January 2019.